Compared to the early days of video games in the 1970s, today computer games are a billion dollar business and profits are often far greater than the top grossing films. Computer games are played as a way of reducing stress, relaxing, and spending time with friends and family. When used for these purposes they are a fairly harmless form of entertainment. The research consistently shows that most individuals (kids, adolescents, and adults) are able to keep their computer gaming under control and usually avoid having the game affect their lives in negative ways. Unfortunately, there are those for whom computer games evolve from a harmless activity into a serious addiction. While the research on exactly what percent of active gamers develop an addiction is sometimes inconsistent, estimates from 5 to 10% seem to be the norm. Because there are millions of computer gamers, even if we assume that only 5% become addicted this still suggests that there are tens (or hundreds) of thousands of people who could be experiencing computer game addiction. VIDEO: Interesting story about computer game addiction in which a husband and wife *both* become addicted to video games. What treatment methods are available for people who spend an excessive amount of time playing computer games? 1. In-Patient Intervention Programs. These programs often have a dedicated team of mental health professionals and offer an intense focus on beating computer game addiction. These programs often require the client to stay at the treatment location for one month or more. Not surprisingly, program fees are very expensive (perhaps costing $20,000 or more) which makes this an option for very few families. 2. Wilderness Therapy. Similar to inpatient treatment, wilderness therapy programs are normally very expensive and require the addict to leave his (or her) home for up to one month while living in an outdoor group environment. Access to video games is banned and the individual would have very limited access to technology or electronic gadgets in general. Instead, the treatment team helps the person to increase his or her self-confidence, develop healthier interpersonal relationships, and set short-term and long-term life goals. 3. One-to-one Counselling with a Psychologist or Mental Health Professional. 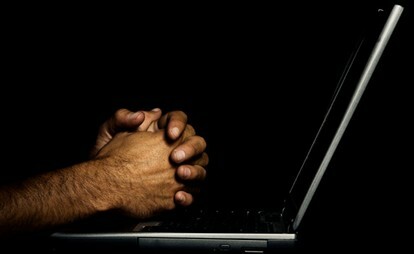 For those who seek to address computer addiction with the help of a therapist, cognitive-behavioral therapy is usually the treatment method of choice. If possible, it is always best to choose a psychologist who is experienced working with computer game and/or internet addictions. If such an individual is not available, it is best to select a counsellor who is familiar with the world of online games and is willing to consider the possibility that computer game addiction does exist (some therapists will not even entertain this idea). 4. Family Therapy. For adults addicted to computer games, family therapy is rare - although couples counselling may occasionally be appropriate. For teenagers and children however, family therapy can be very helpful. For families choosing this option, the therapist can be expected to look at the family system and interconnected family dynamics as a whole, and create treatment plans that incorporate all family members - not just the one identified as having the "problem". 5. Computer Game Addiction Books. Self-help books on computer game addiction are by far the most affordable treatment option for video game addicts. They help the individual assess how computer games have impacted his or her life, evaluate the benefits of change, and provide step-by-step strategies for developing healthier gaming habits. Additionally, they allow the person to work from the privacy of home and at a pace that fits with his or her work, school, and/or family commitments. For those who are frustrated by gaming addiction and who recognize the need to take action, TechAddiction offers instantly downloadable self help workbooks for adults, children and teenagers who are addicted to computer games. Do you know anyone who is addicted to computer games? What advice do you have for getting video games under control?